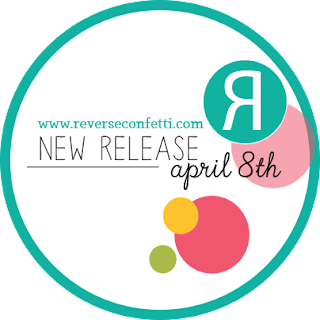 Witty Title Here: Countdown to Confetti: You're Tie-rific! Countdown to Confetti: You're Tie-rific! To create my card, I started with a square, white card base and adhered blue and turquoise CS to the top and bottom of the card to create a geometric design. I then die cut two pieces of white CS with the Double Panel Confetti Cuts and popped out all the little circles before adhering them to the card front. 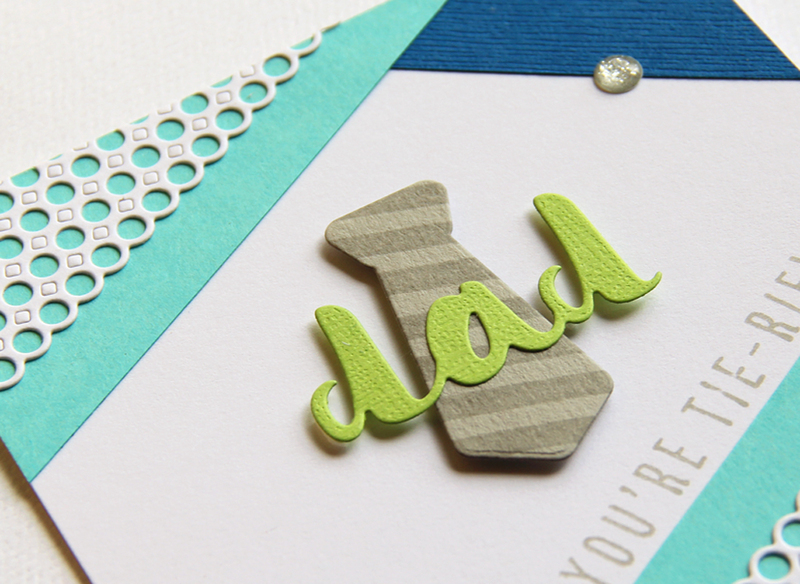 I then stamped one of the sentiments from Tie-rific in light gray ink onto the card front above the turquoise block. Next, I stamped a strip of gray CS with one of the stripe strips from So Stripey (whew! tongue twister! 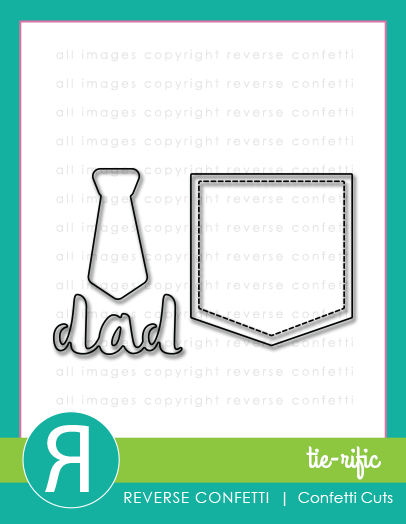 hehe) in Versamark ink, then die cut it with the Tie-rific Confetti Cuts. The die cut was then adhered to the card base. I then die cut the focal sentiment was from green textured CS using the Tie-rific CCs, and adhered on top of the tie. To finish up, I embellished with silver enamel dots. I love this bright color palette! 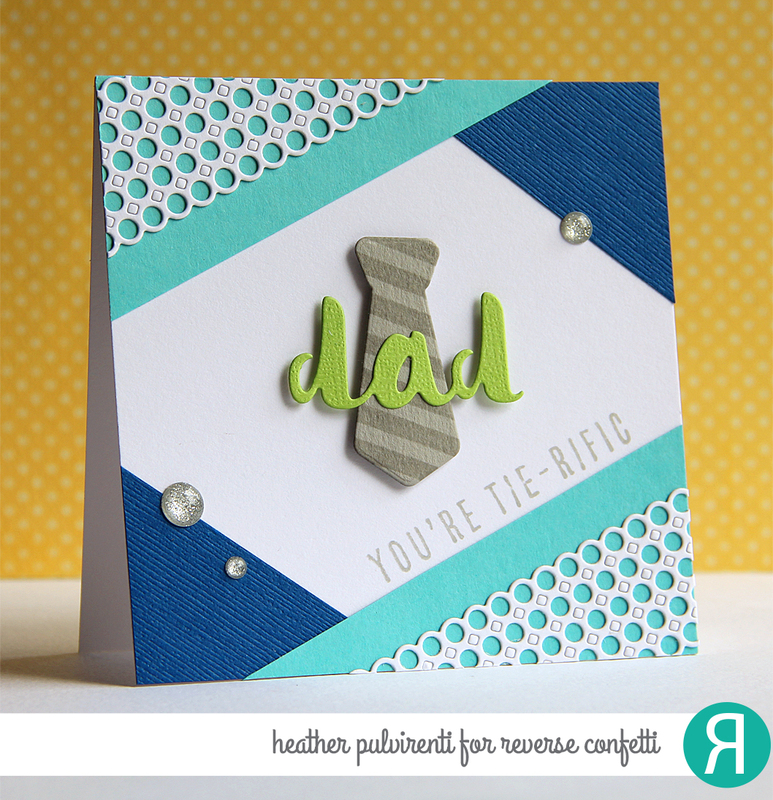 It's colorful and cheerful and perfect for dad! Classic one! 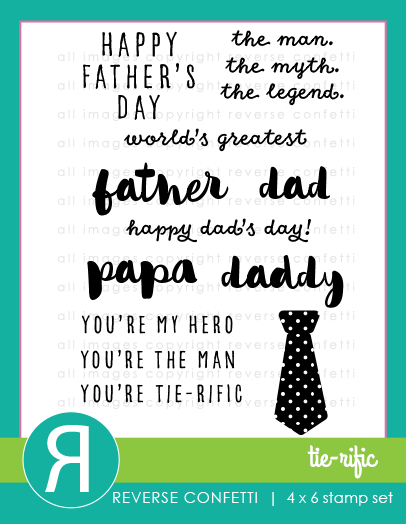 Love the idea of your card design, something different! Such a clever way to position the papers! I am loving the circle panels! I just love these sentiments! A must have for me! Thanks for the inspiration. Wow, such a cool design, love your innovative use of the circle panels! Great colors - love it! Wow on the layout and the way you used the circle panels! What a great layout! Love the way you used the die-cut circle panels as accents on opposite corners. Love your card and the fun colors. Love the design layout. 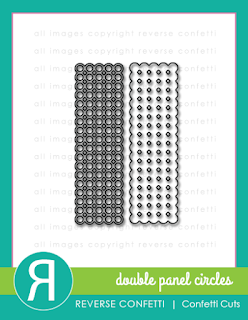 What a great showcase for the double panel circles. How fun is this with your awesome color combination and cool design! 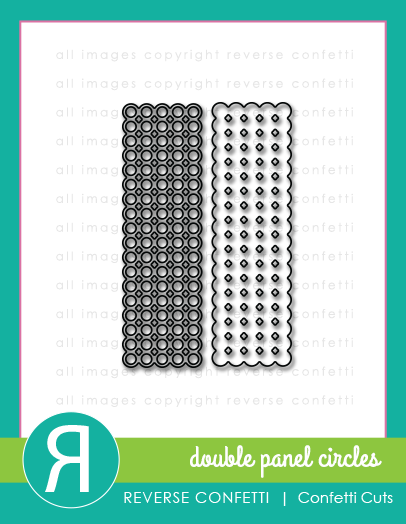 Wow - the double panel circles are a nice addition to an already great card! 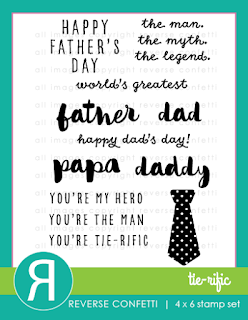 what a cool design... so perfect for a masculine card! Great card Heather! Love the blues and the lime green! Heather, I love the graphic feel you have created. One excellent masculine card! Cheers. Love how you framed this, especially with those mini circle pieces.